Home some six months ago in September for the 2017 Slovenia Junior and Cadet Open; Otocec located on the banks of the Krka River in the south east of the country, is currently the destination for another activity involving aspiring young players. 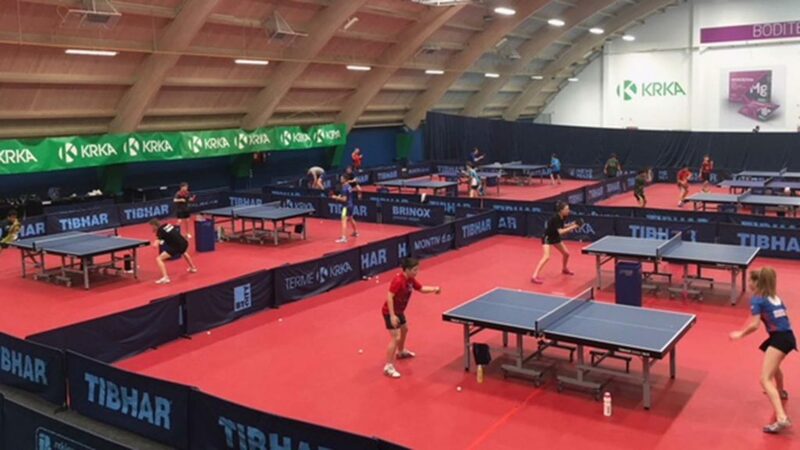 Organised under the auspices of the ITTF Development Programme in conjunction with the European Table Tennis Union, it is the home for the first ETTU Development Camp of the year. A total of 17 players and 11 coaches present for what is proving a worthwhile initiative; the head coaches are the host nation’s Joze Urh and Aleksey Yefremov of Belarus; Mateo Lejo is responsible for fitness training. Notably Joze Urh in recent years has been the mentor of Darko Jargic; Aleksey Yefremov is much travelled having coached in such diverse countries as Guatemala, Colombia, Egypt, Peru and Spain whilst as being a regular Course Conductor for courses organised under the umbrella of the ITTF Developmemt Programme. 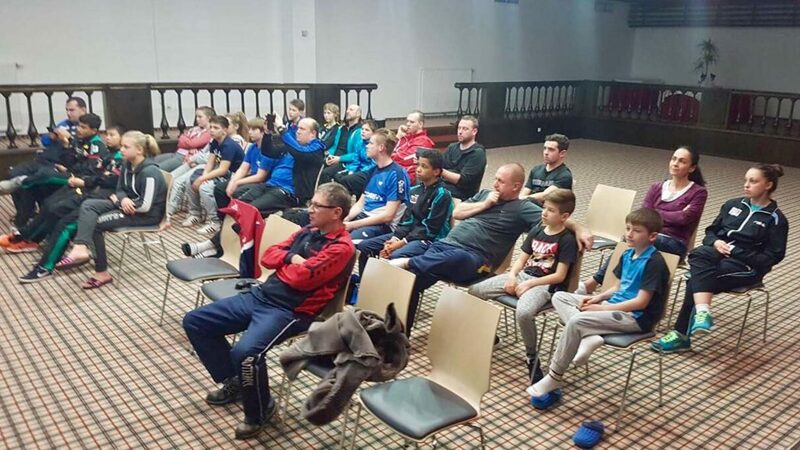 The national associations represented are Belarus, Belgium, Croatia, Czech Republic, Greece, Ireland, Lithuania, the Netherlands, Portugal, Slovakia and Slovenia.